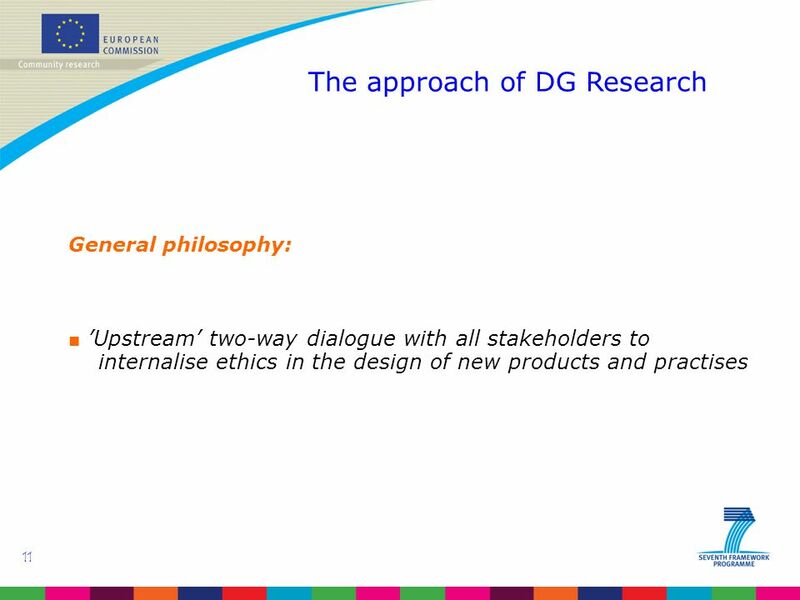 The Oviedo Convention from the Perspective of DG Research Dr. Lino PAULA European Commission DG Research, Governance and Ethics Unit. 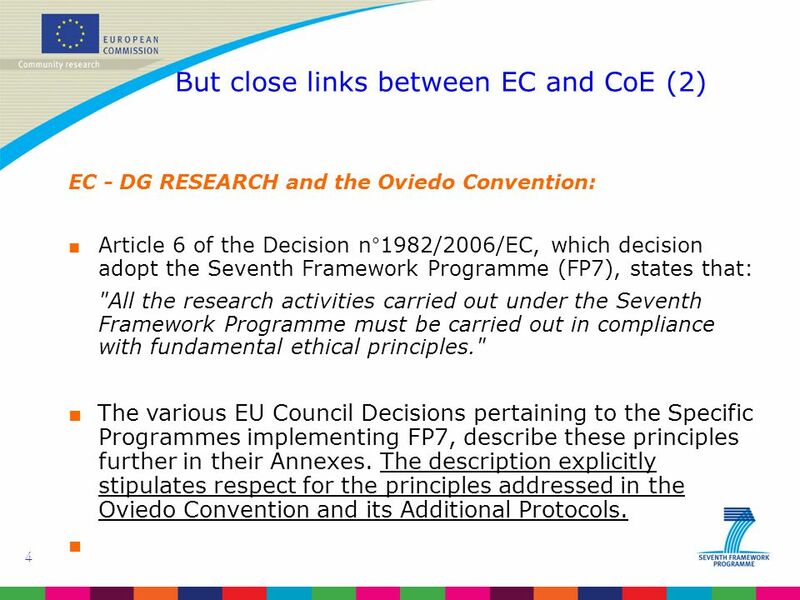 5 5 But close links between EC and CoE (3) EC - DG RESEARCH and the Oviedo Convention: ■ Therefore, research funded by the EC must always be carried out in compliance with the provisions of the Oviedo convention. 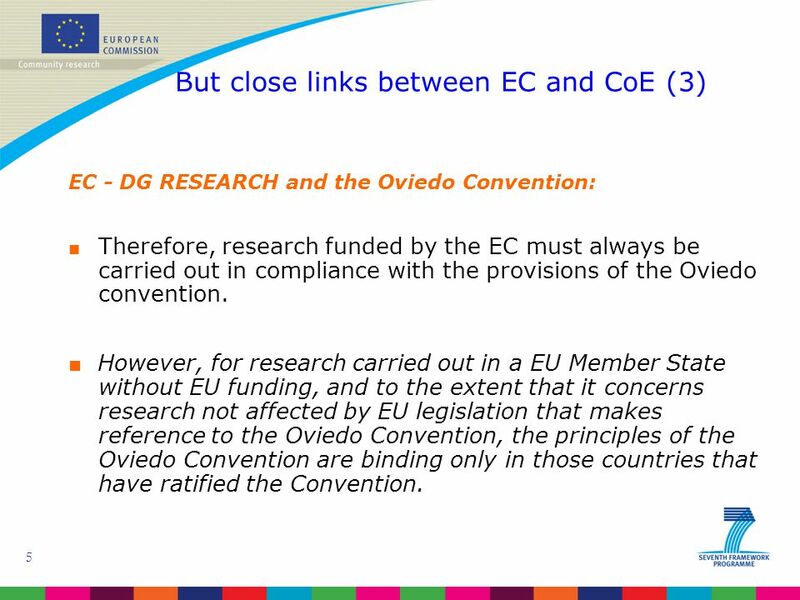 ■ However, for research carried out in a EU Member State without EU funding, and to the extent that it concerns research not affected by EU legislation that makes reference to the Oviedo Convention, the principles of the Oviedo Convention are binding only in those countries that have ratified the Convention. 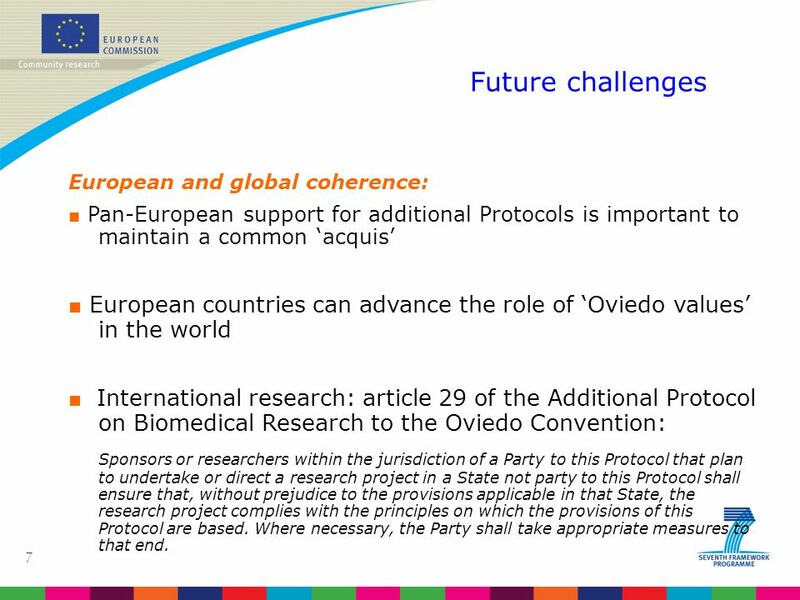 7 7 European and global coherence: ■ Pan-European support for additional Protocols is important to maintain a common ‘acquis’ ■ European countries can advance the role of ‘Oviedo values’ in the world ■ International research: article 29 of the Additional Protocol on Biomedical Research to the Oviedo Convention: Sponsors or researchers within the jurisdiction of a Party to this Protocol that plan to undertake or direct a research project in a State not party to this Protocol shall ensure that, without prejudice to the provisions applicable in that State, the research project complies with the principles on which the provisions of this Protocol are based. Where necessary, the Party shall take appropriate measures to that end. 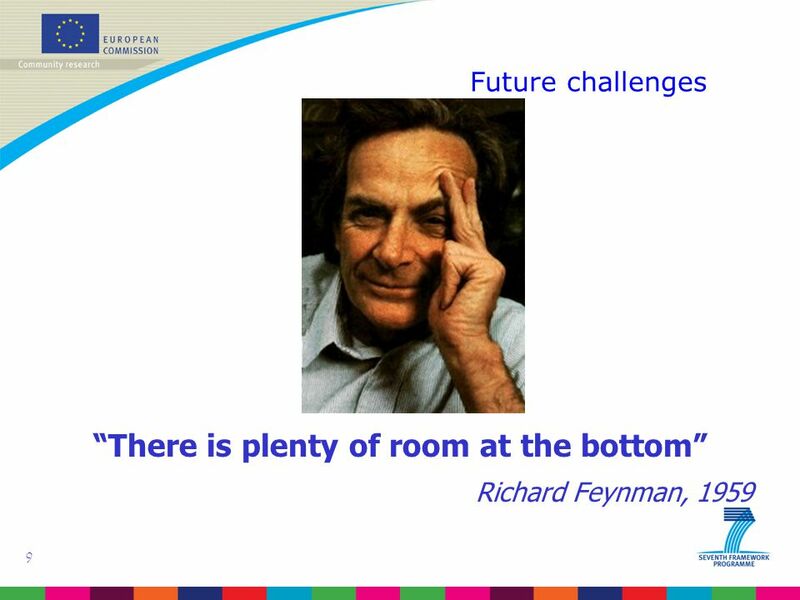 10 10 Future challenges Converging Technologies: ■ New technologies such as nanotechnology, ICT and synthetic biology have in common that they operate at the convergence of ‘traditional’ disciplines, which make them inherently complex both in terms of scientific and societal impact. 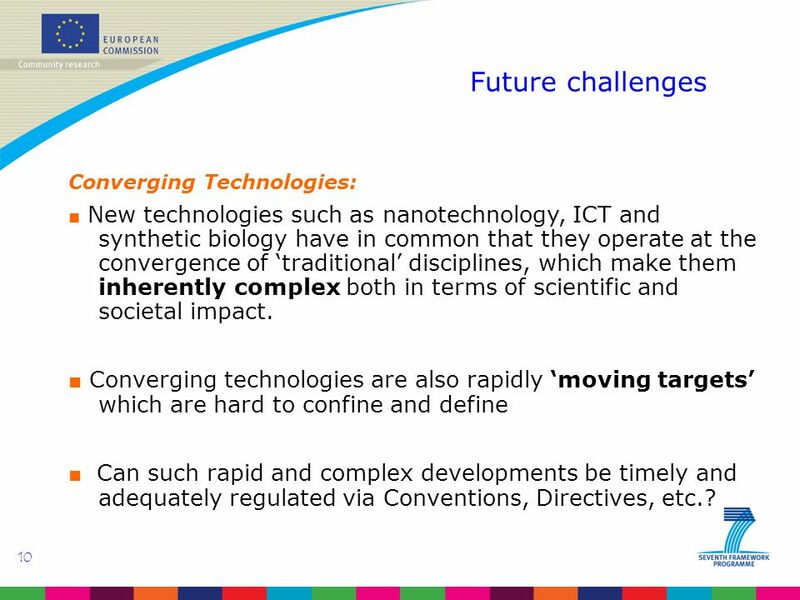 ■ Converging technologies are also rapidly ‘moving targets’ which are hard to confine and define ■ Can such rapid and complex developments be timely and adequately regulated via Conventions, Directives, etc.? 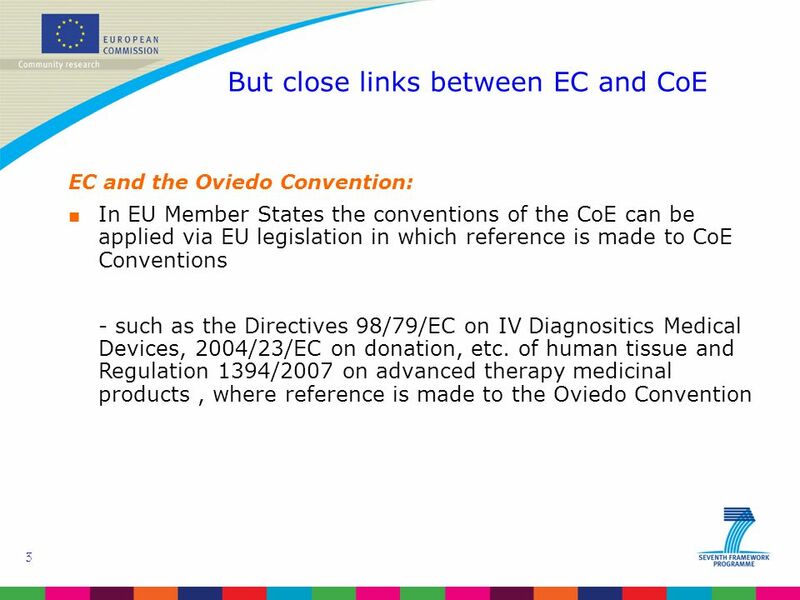 16 16 This approach is also implicit in the Oviedo Convention Oviedo Convention, Article 28 - Public debate ■ Parties to this Convention shall see to it that the fundamental questions raised by the developments of biology and medicine are the subject of appropriate public discussion in the light, in particular, of relevant medical, social, economic, ethical and legal implications, and that their possible application is made the subject of appropriate consultation. 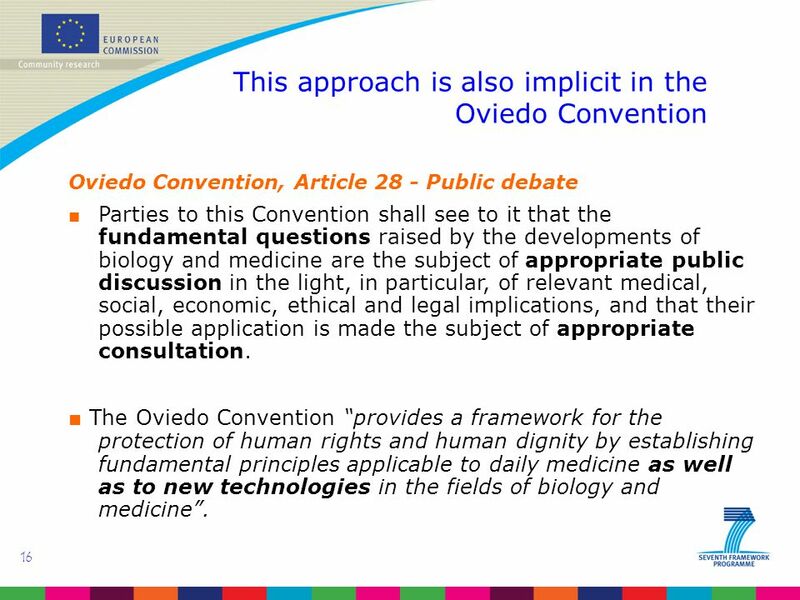 ■ The Oviedo Convention “provides a framework for the protection of human rights and human dignity by establishing fundamental principles applicable to daily medicine as well as to new technologies in the fields of biology and medicine”. 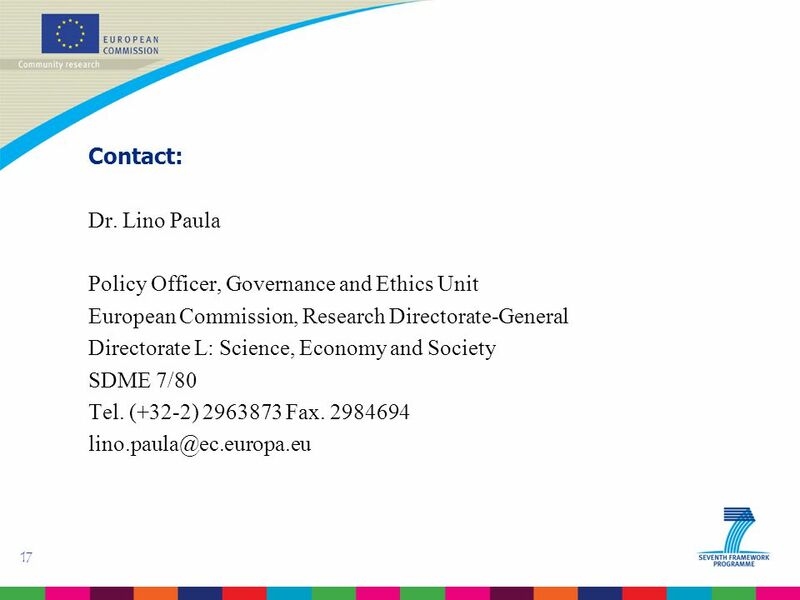 Download ppt "The Oviedo Convention from the Perspective of DG Research Dr. Lino PAULA European Commission DG Research, Governance and Ethics Unit." 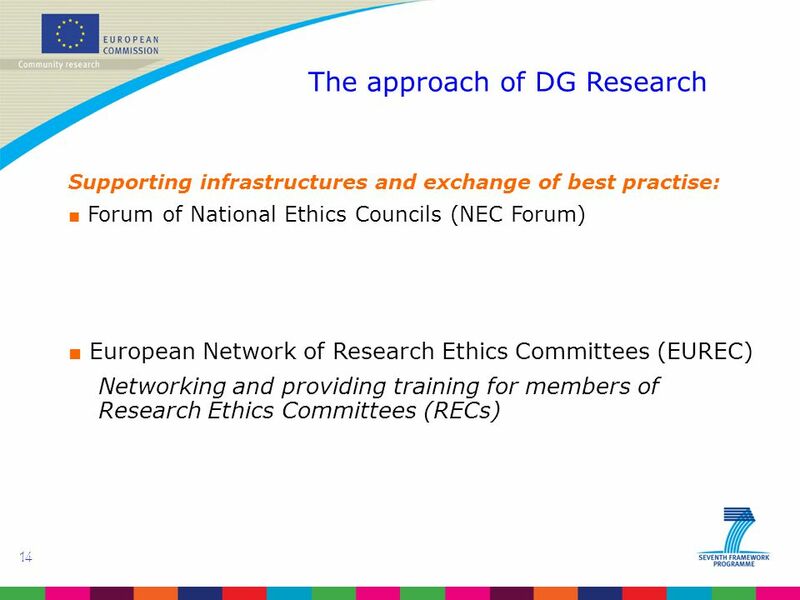 The European Commission as a Partner of International Cooperation in Research Ethics Governance and Ethics Unit Directorate-General for Research European. 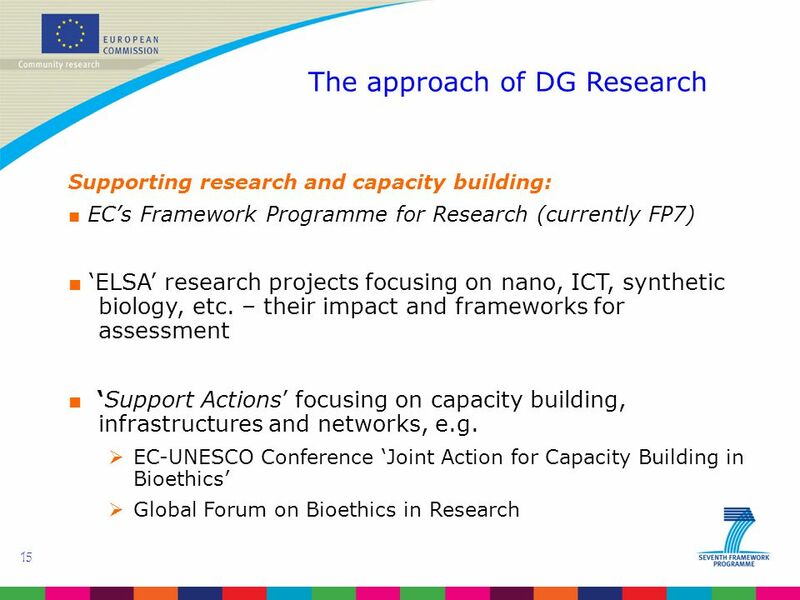 GF8 – Vilnius, June 2007 Hugh Whittall Director Nuffield Council on Bioethics Establishing and supporting research ethics infrastructure and networking. 1 QUESTIONS FOR DEBATE Opening session: What do I bring to this meeting and what would I like to learn? 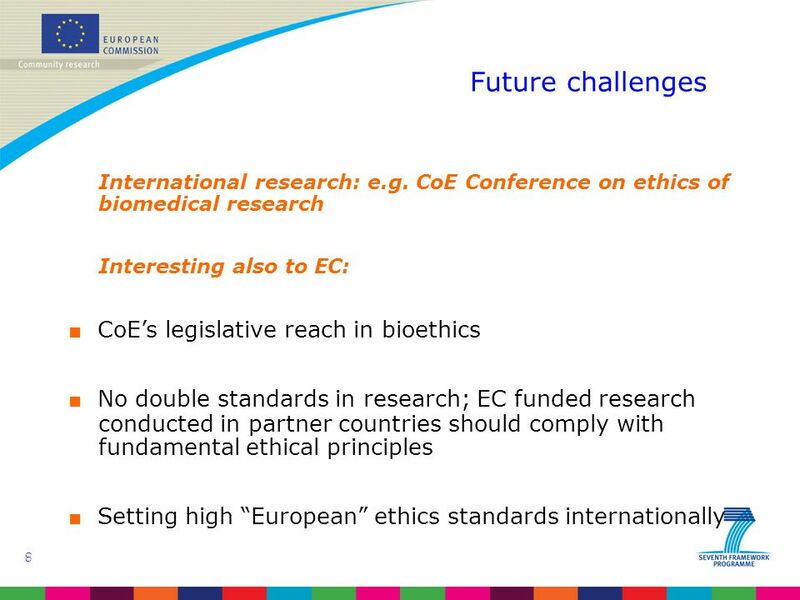 4 th Meeting of the EC International Dialogue on Bioethics Copenhagen, June 19 th, 2012 Large research and medical databases in clinical and research multi-centred. 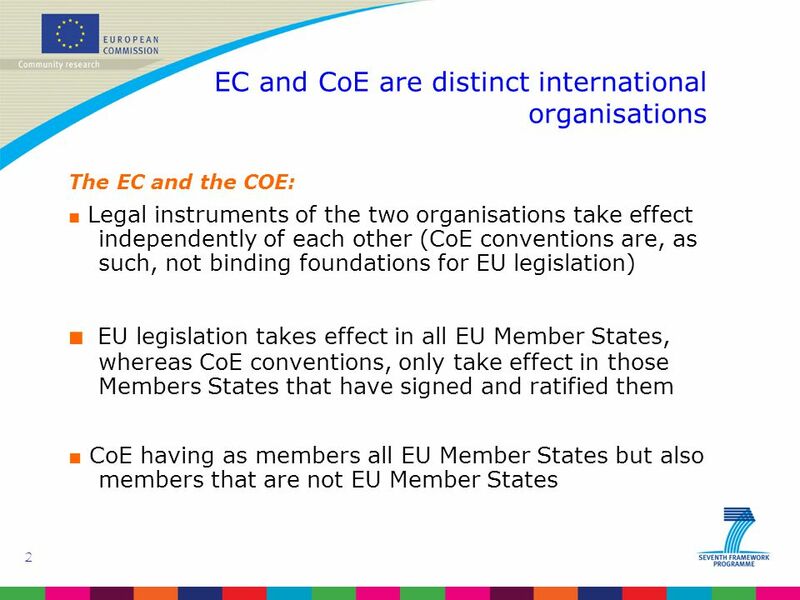 EDUCATION Directive 2002/14/EC of 11 March 2002 establishing a general framework for informing and consulting employees in the European Community. 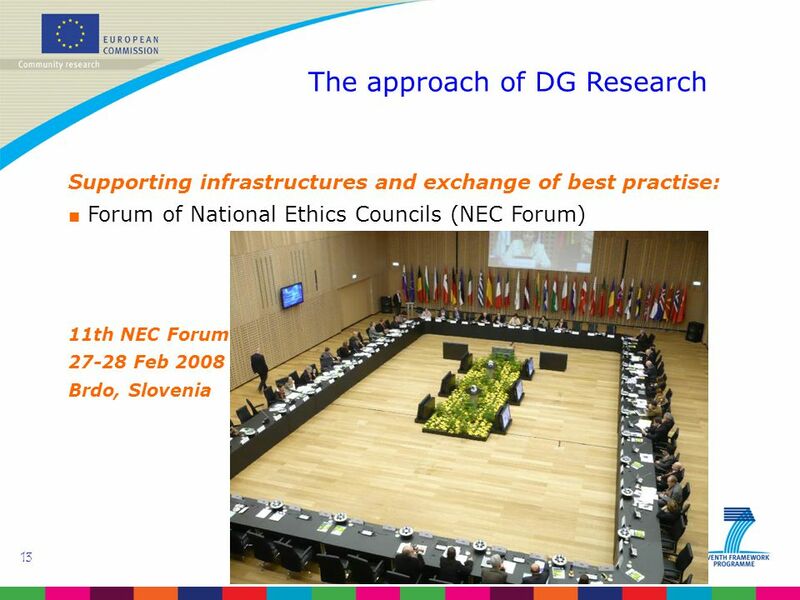 1 Ethics and Science European Commission Ethics and the European Commission. 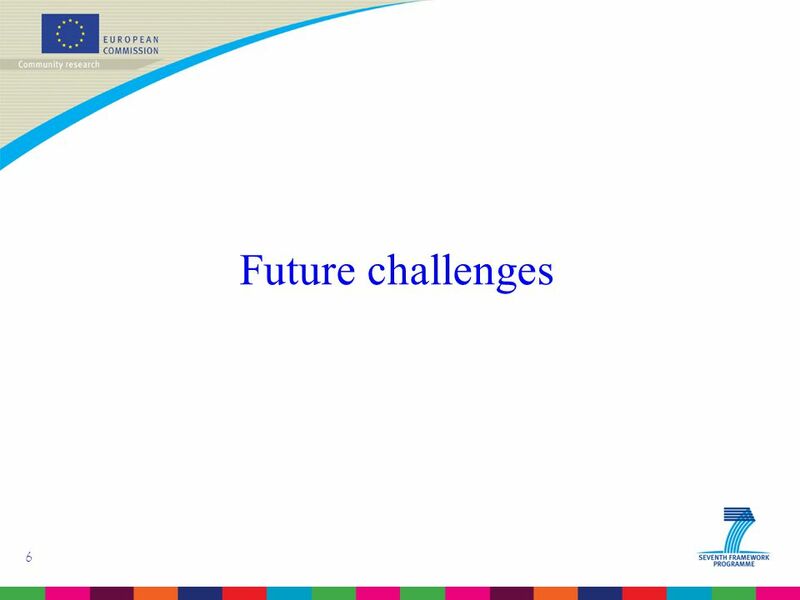 1 Reform of the EU regulatory framework for electronic communications What it means for Access to Emergency Services Reform of the EU regulatory framework. 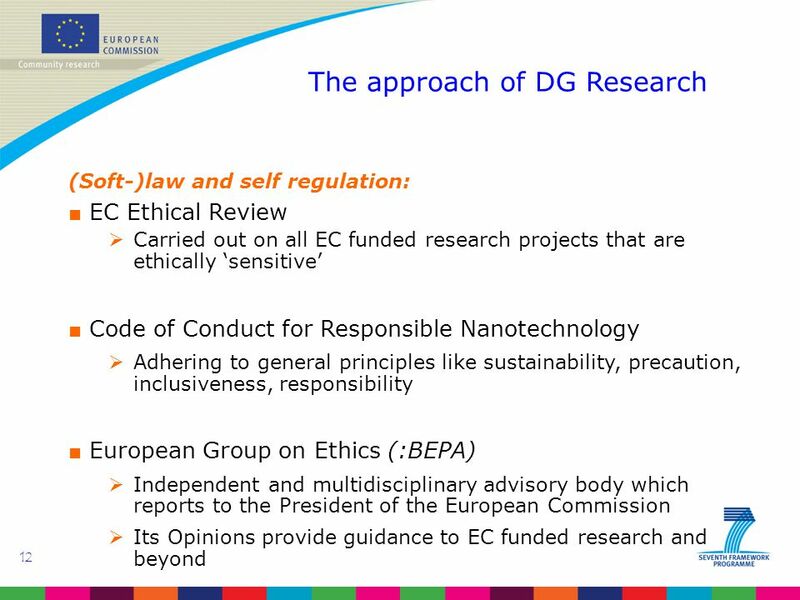 1 Dr David Coles Ethics and Science European Commission ACTIVITIES on ETHICS in The Science and Society Programme.